After Patrol Officer Jonathan Abrahams stopped James Campbell for speeding, he asked to see his passenger’s ID, to which James responded “I don’t think so”. 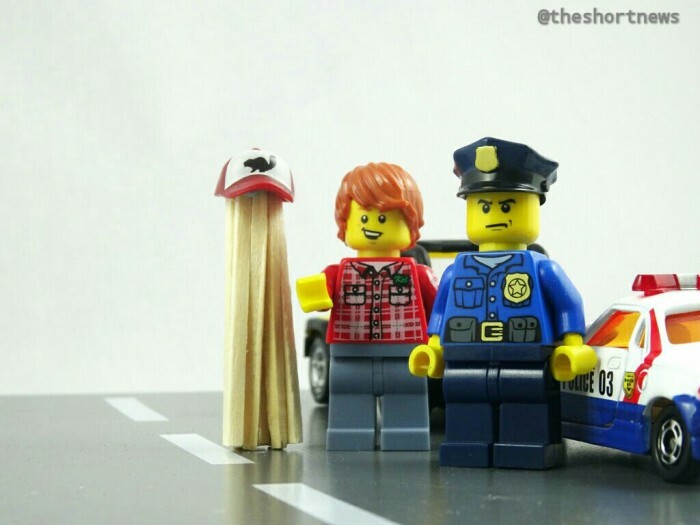 Officer Abrahams said that James’ wooden friend appeared to be made of large popsicle sticks. When questioned, James told Officer Abrahams that he used the dummy because he didn’t want to be late for his new job. Although James was summonsed for speeding and violation of the high-occupancy vehicle lane rules, he says he used the lane again on the way home, with his wooden friend in the passenger seat.